At that time neither the Princess nor anyone listening to the broadcast would know that 70 years later, Her Majesty would be the longest and oldest reigning Monarch in British history. When the announcement was made that Prince Philip was to retire from public duties, it was a sombre reminder that at 91 and 95 years of age respectively, Her Majesty and Prince Philip have dedicated their lives to their roles as Monarch and Consort as a joint team and of course while Prince Philip has the Queens full support in stepping down from his duties, this is not an option for Her Majesty. We must remember that she witnessed the abdication crisis of 1936 as a young girl and the strain it put in the Monarchy. For the Queen, duty comes first and this has been evident throughout her long life. 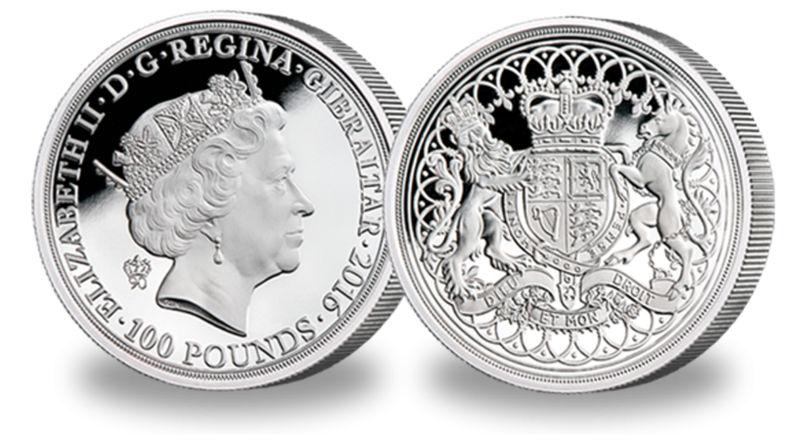 A £100 silver Piedfort coin issued to celebrate Her Majesty’s 90th Birthday bears the monarch’s coat of arms with the motto ‘Dieu et mon droit’ which tells us the full reason why Her Majesty takes her duty as monarch so seriously. The translation is ‘God and my right’ or more literally as ‘My divine right.’ While this motto has been the downfall of some monarchs who have tried to assert it to their advantage, the Queen takes a completely opposite view and sees it as her duty to serve the country as monarch and not a right. Much of the Queens’s ethics and morals are deeply rooted in religion. Of course, as the head of the Church of England that is understandable, but significantly the Queen made an oath on the day of her Coronation to govern the people, uphold law and justice and to maintain and preserve the Church of England. While this was made in front of family, world leaders and peers of the land, most importantly for Her Majesty, it was an oath made before God. Prince Philip’s recent announcement was a sombre reminder of the Queen’s dedication in serving her people as monarch throughout her long life, and for however much longer she shall live, she will continue to fulfil her duty, remembering the promise she made 70 years ago – “Dieu et mon droit”.